It’s a question that parents have searched high and low to find an answer; how do Brisbane families find a place that suits parents and children? Somewhere mum and dad can sit down with a coffee while the children run wild, without fear of breaking or spilling anything? Lollipops Playland and Cafe could be the answer. Lollipops is an indoor play centre located in Cannon Hill that caters to all children, from toddlers to pre teens. 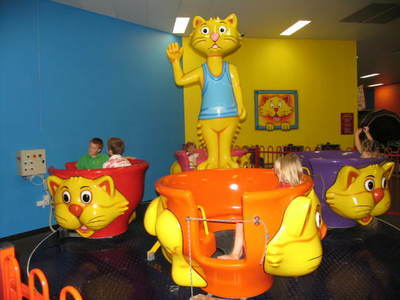 Some of the attractions include a variety of jumping castles, play stations and playframes to suit all ages, a fenced off baby play area, a make-believe dress up centre, and teacup ride. Lollipops also has a large cafe area that seats up to 140, so you’re sure to get a table. As well as tea and coffee, meals, snacks and treats can be purchased here. Lollipops offers a coffee and cake special for $6.90, or a Kids Munch Box which includes a meal (choose from sandwiches, fish and chips, cheerios or fruit) with a popper and toy for $5.90 (prices accurate at February 2013). Food from outside of the cafe, excluding baby food, is not allowed. 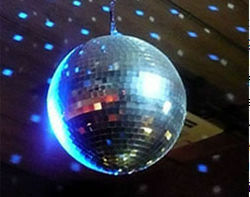 Older children might enjoy the Friday night discos, held on the first and third Friday of the month from 4.00pm. Entry is $10. There is also a variety of party packages on offer. 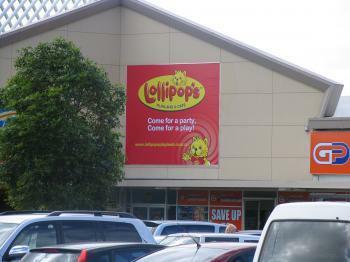 Lollipops at Cannon Hill is open seven days a week and entry prices begin at $3.50 for adults. Don’t forget your socks!